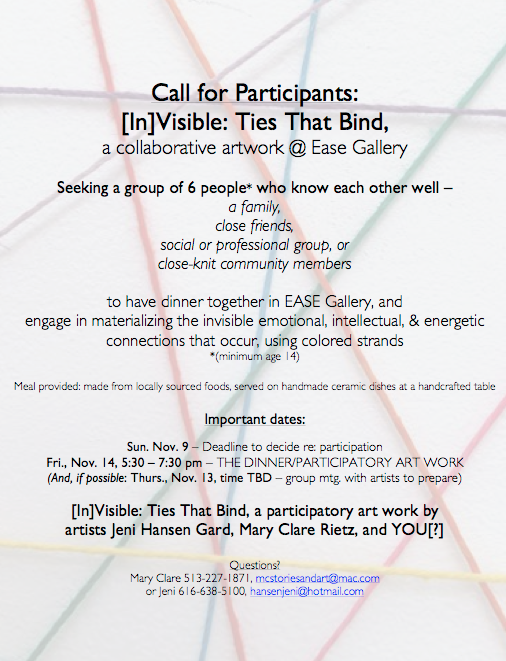 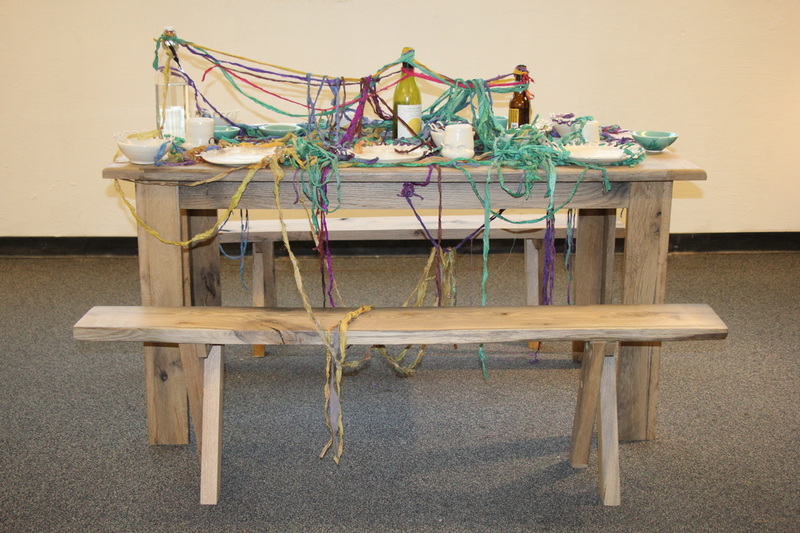 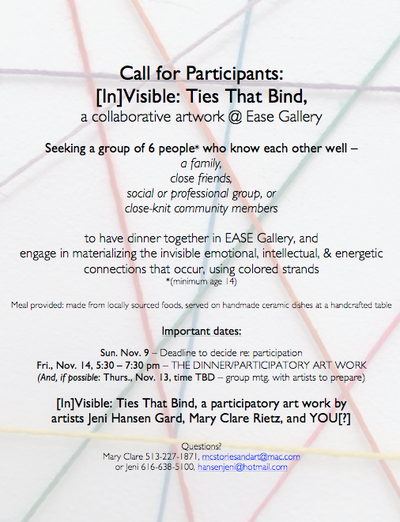 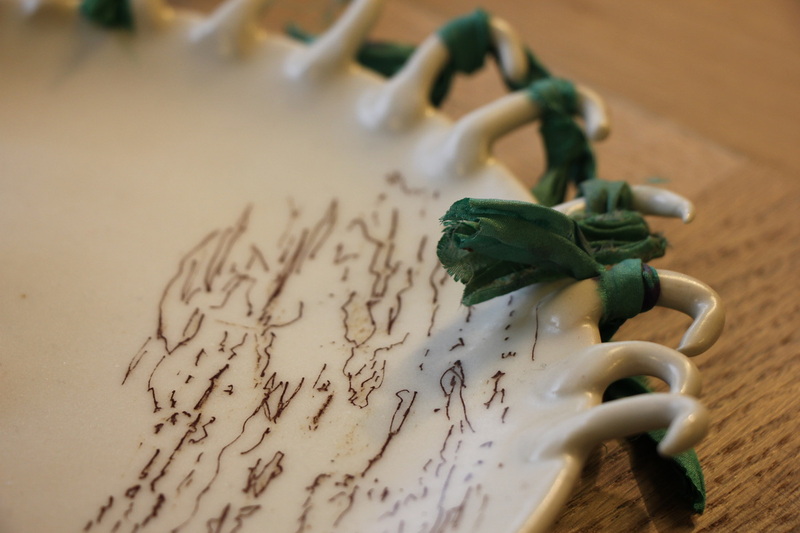 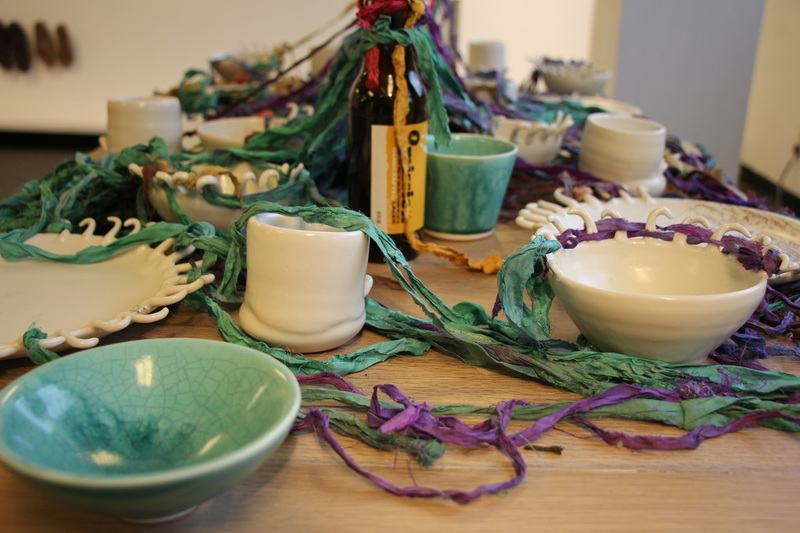 a collaborative work with Mary Clare Rietz, [In]Visible: Ties That Bind seeks to materialize the physical, intellectual, emotional and energetic connections that exist among people, especially the stronger connections among those in close relationship. 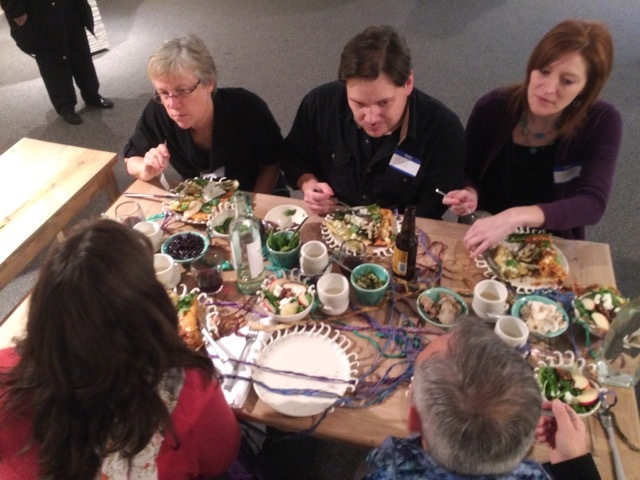 It visualizes the relational dynamics among a small group, over the course of a live, real-time dinner. 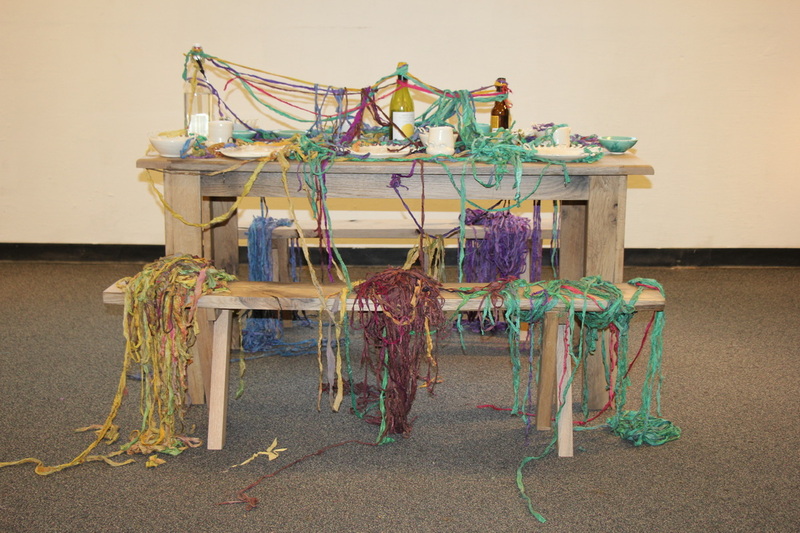 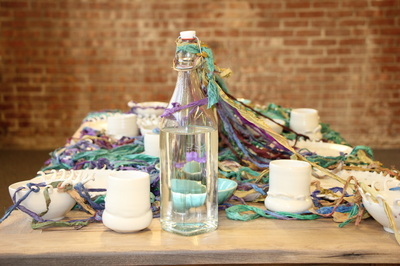 Each participant came to the table with a supply of lengths of silk strand in a color that each had chosen. 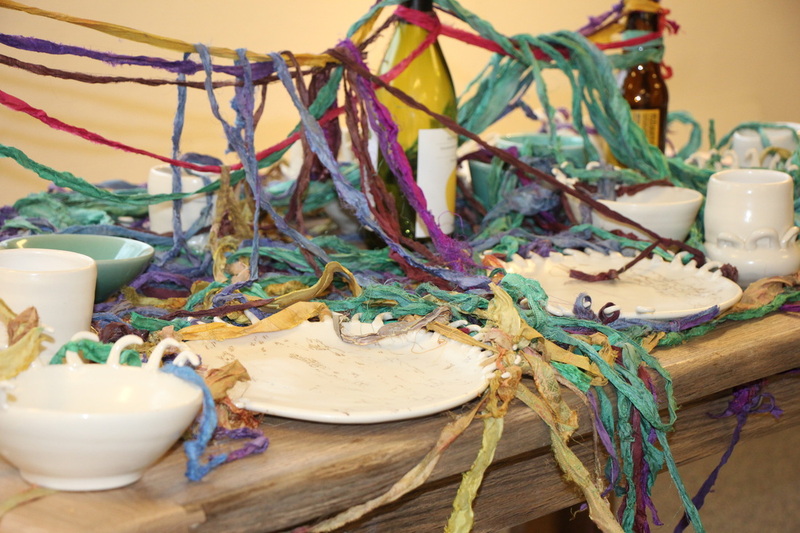 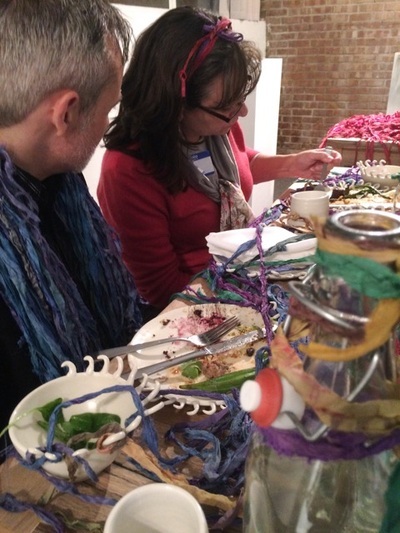 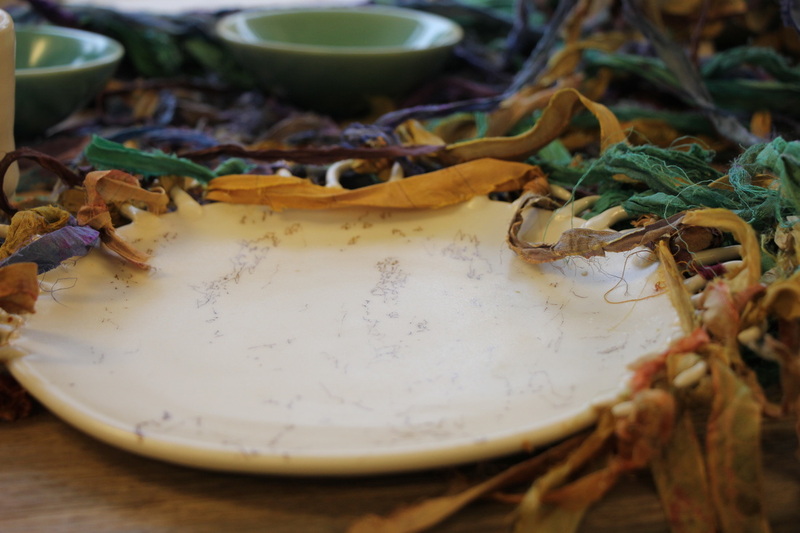 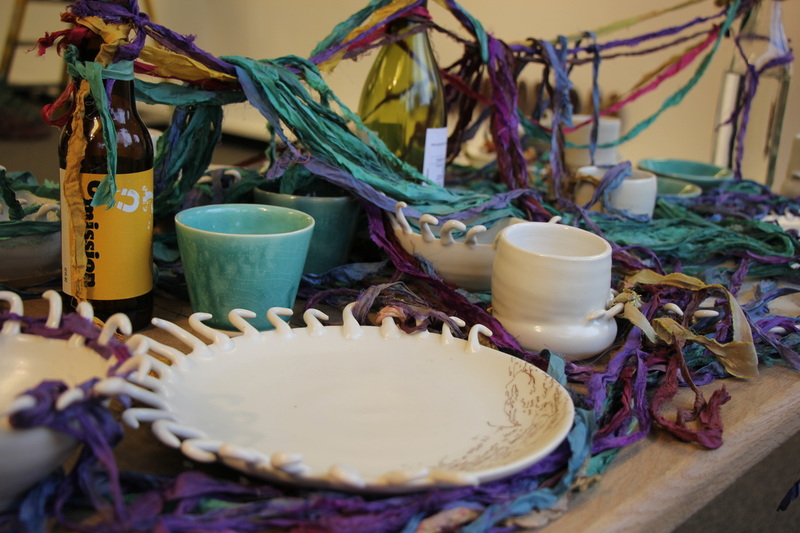 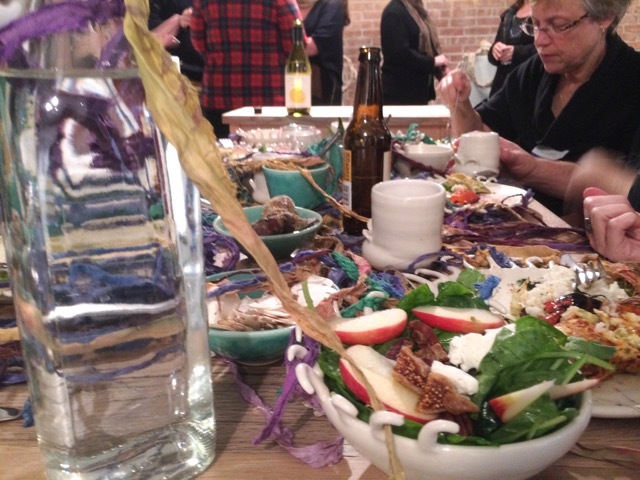 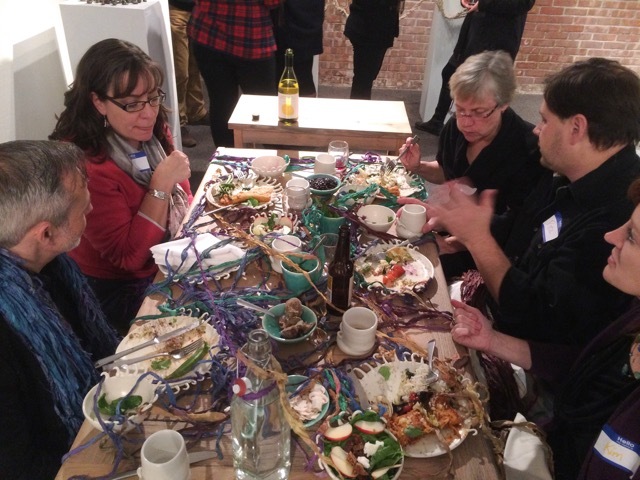 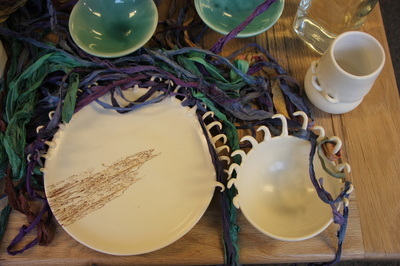 As participants shared food and conversation, they passed the strands to each other to be attached to their dinner plates when they feel a connection with someone at the table. 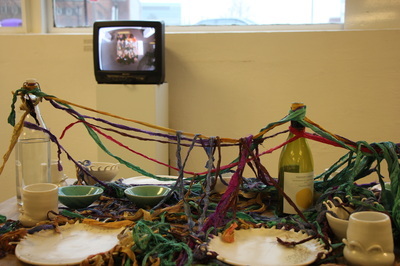 Talking, listening, or just hearing/observing others conversing produces in-the-moment experiences of connection between us, whether positive, negative or neutral. After the dinner the residue remained in the form of the symbolic physical connectors that lie dormant on the dinner table, visible ghosts of the invisible but more real connections that live and move with and among those bodies and souls who sat at the table and shared a meal.